If you are a Pontiac owner, welcome to the one-stop Castro Valley Pontiac service and repair shop. 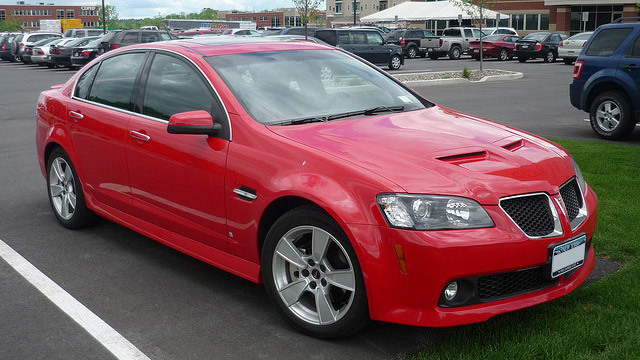 At Adams Autoworx we provide a full range of Pontiac services and repairs. From oil change, to manufacturer recommended maintenance, to advanced diagnostics, and complex repairs – our nationally ASE certified master technicians will take good care of your vehicle. Even though Pontiac line was discontinued by General Motors, at Adams Autoworx we continue to support Pontiac owners. We have the diagnostic equipment and in-depth training to provide superior care for your Pontiac. As the premier Castro Valley Pontiac repair shop, we provide full range of repairs and services, including regular maintenance, clutch repair, oil service, brake repair, electrical system repairs, check engine light diagnostics, electrical system diagnostics, timing belt replacement, transmission service, AC repair, fuel pump replacement, water pump replacement, AC recharge, shocks and struts, sensor diagnostics, oxygen sensor replacement, as well as pre-purchase inspections. Now that your Pontiac is getting on in age, regular maintenance is crucial. Regular oil service not only extends engine life, but also gives our technicians an opportunity to catch any impending problems before they require major repairs or cause a breakdown. Our Castro Valley repair facility, can service and repair most models of Pontiac, including Bonneville, Grand Am, Grand Prix, G6, Sunfire, Aztek and Montana. Whether your vehicle needs major engine work, or just an oil service – we are here to help – give us a call.